You can start caring for your child’s smile before their teeth even grow into place. You can do so by gently cleaning your child’s gums with a clean gauze pad or washcloth on a regular basis. This will help remove the plaque in the mouth that is waiting to attack the teeth. 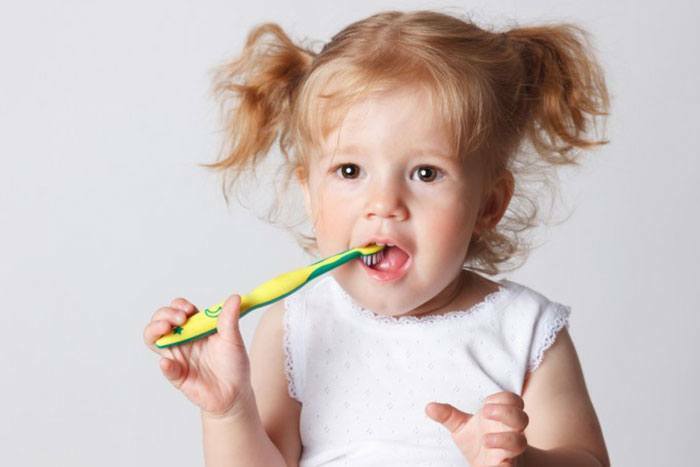 Once the teeth grow into place, make sure you brush their teeth twice a day with a child-sized, soft-bristled toothbrush and fluoride toothpaste. As you brush, only use a small, pea-sized dab of toothpaste. When two teeth grow in next to each other, make sure you begin flossing as well. If you fill your child’s bottle with sugary drinks, especially before taking a nap or going to bed, your child can easily suffer from baby bottle tooth decay. So, we strongly recommend only putting milk, breast milk, and baby formula into the bottle. Also, please make sure your child finishes the bottle before they hit the pillow. If you would like to learn more, please remember that you can always call 661.349.7725 and talk to Dr. James D. Powell! We are happy to help you in any way we can, and we look forward to your phone call!